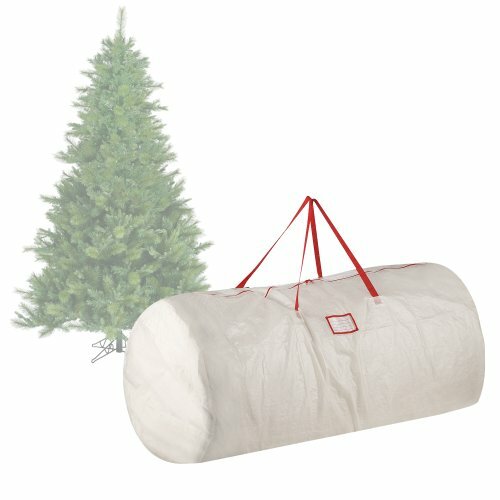 Artificial Christmas tree storage bags are not used in my house to store our tree though that might have to change this year. Currently, my artificial tree stored every year in the original box that we bought it in. After our first Christmas with a partially grown giant black lab puppy, my dad picked up an artificial tree to try and minimize the time and energy that went into putting up and taking down a real tree with pets around. This is exactly thing that I could use. I will admit that I hate boxes. There are still boxes that have not been unpacked from my move two years ago and I swear eventually I will get around to opening those boxes. So I dread it every time it comes to having to go through all the boxes to find the one with the picture of the Christmas tree on it. Browse more storage options here. 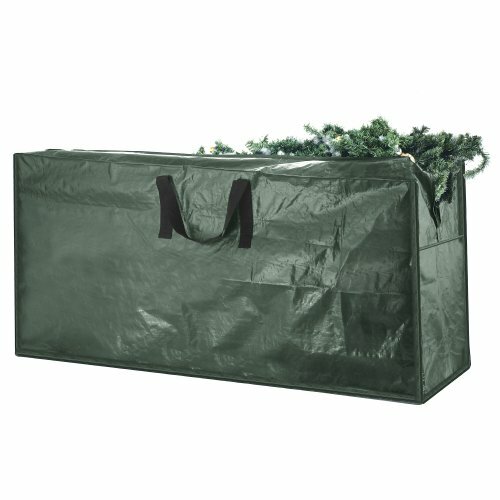 Because they are available in different sizes, the storage bags can be used for more than just your artificial tree. You can use them to store in extra decorations, ornaments, and lights so that you can eliminate yet another box. This makes it almost a “one stop shop” when it comes to setting up your Christmas tree each year. 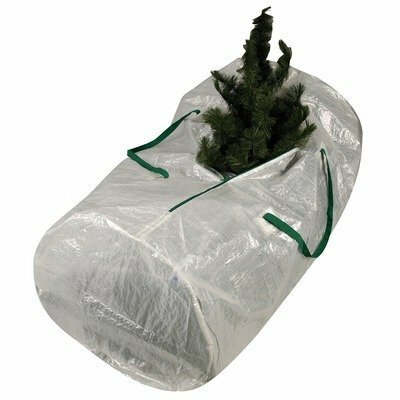 Not to mention that the bags will help protect your tree so that it keeps its shape, does not get damaged, and remains dust free. I looked for ones that are sturdy, have handles, and can accommodate a variety of tree sizes. Not to mention color options are important not only for personal taste, but to make it easier to spot your holiday stuff when the time comes to go dig it out. When I fight with my box this year it may be the pushing point I need to finally buy one. I would go with the first one which is the Elf Stor Premium Christmas Tree Bag Holiday because I love the dark green coloring and the fact that it comes in an extra large size.